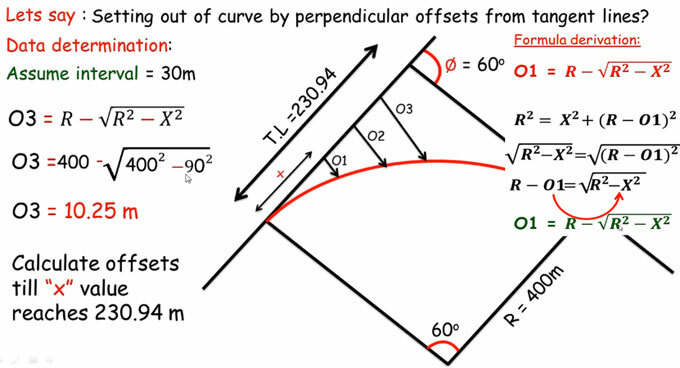 In this construction video tutorial, the renowned SL Khan, has briefly explained how to lay out road or railway line curve with perpendicular offsets from tangent lines method. The process is very useful for land surveying. - the single prismatic square and the double prismatic square: Applied to lay out right angles and perpendicular lines simultaneously. The first step is to find out the curve points by defining the tangent length of the curve. Afterwards, divide the tangent line with some intermissions and choose perpendicular offsets from tangent line. Then, join the ends of all offsets which produce a good looking and smooth curve.